Posted on July 5, 2017 at 3:27 am. 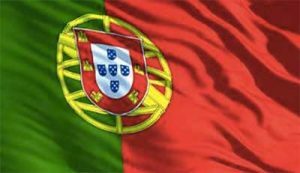 Portugal joins France, Italy and Spain in shared online poker liquidity. Poker players in France, Portugal, Italy and Spain will soon be able to play against one another following a signed online poker shared liquidity agreement. French gambling regulator ARJEL revealed a shared liquidity agreement, which has been on the radar for the last few months, will be signed on July 6 in a media statement last week. The four countries will link their closed poker pools after their respective online gambling regulators meet in Rome on Thursday. “This agreement will set the basis for cooperation between the signing Authorities in this context and will be followed by further necessary steps within each of the jurisdictions involved in order to effectively allow for liquidity poker tables,” ARJEL said in the media release. The online poker shared liquidity project will only involve the four countries, restricting the rest of Europe from the pool. The announcement follows a meeting between Denmark and Spain’s gambling regulators, which sparked rumours the Danish country might be getting in on the project. Representatives for the Spanish gambling regulator Dirección General de Ordenación del Juego (DGOJ) and the Danish watchdog, Spillemyndigheden, met in late June in Madrid to discuss online gambling. As a result, media outlets reported the regulators discussed joining the online liquidity poker pool. While the country is not among the four countries signing the agreement on Thursday, it may still join in due course. This indicates the shared poker pool has potential to grow. The idea for a shared poker network has been on the table for many years but many have argued the countries involved have differing laws which will negate the benefits. The idea for a multi-country shared player pool was first suggested in 2013 and involved France, Spain and Italy. However, the French parliament opposed it. It wasn’t until 2016 that the three countries announced they were open to a shared online poker pool – but Portugal wasn’t ready. Italy was the first of the four countries to legalise and regulate online poker in 2006. France followed in 2010 and Spain made the choice to legalise online gambling in 2012. Portugal was late to the party as the country only established a regulated poker market in 2016 – PokerStars was awarded the first poker license too. Finally, in 2017, all four countries were ready and it was clear why. The countries have a lot of rules and restrictions when it comes to their respective regulated markets – Italian poker operators can only accept residents in Italy and Italian players cannot play at foreign sites. This pushes players to unregulated markets so players can join larger pools which in turn results in a decrease in poker revenue for the regulated poker jurisdictions. This outcome is likely why the four countries have come together and agreed to create a shared online poker liquidity pool. Only time will tell if it will benefit players – it will definitely be advantageous to PokerStars which is big in all four countries.